The development studies of Nepal – where actually this has been leading? At where it has reached so far. 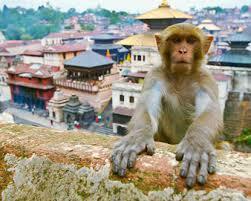 What are the expert and well wishers of Nepalese development are doing nowadays? What are the challenges they are facing to uplift the nation as a whole? In every sectors including socio-economic and political environment, what are the changes the Nepalese are facing? 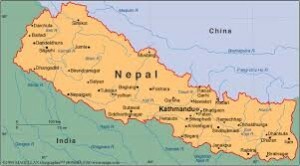 and how these changes drags the over all development of Nepal? and the key people who contribute to the national development : where are they focusing nowadays and where they should focus to integrate the national development through poverty elevation and economic development. Finally, but not the least, bringing the change in the life style of the people towards more peaceful and happiness through prosperity. These all aspects of Nepalese scenario, the preparation what academician and policy maker of Nepal would love to do in the contribution of development needs of personnel is to prepare the future needs of Manpower in these aspects – The need of development Workers! Development workers will be equipped with the knowledge of development studies. Basically, Development works are some kind of small projects which integrated themselves to form a larger one which will actually takes a role in the over all growth of people and the nation itself. In the development, we have many aspects ; social, economic, political. The development knowledge should have covered all those aspects. So, the integrated approach applies to understand the overall development of the nation, and the same approach should apply by the development worker themselves to understand, plan, process, analyze and the evaluate the system and the project work in which they involve. Basically we need people to carry out these things in the development of nation. No doubt at all. Because anything small or big we do is some kind of projects. So, Project planning and management is the key after all. For this the good proposal must come from the people – a good idea is required and A idea can change life! which is true. For the project planning once the proposal has been generated. There can be various aspects to consider ; they can be raising funds to prepare for the acceptance of change felt by the people in the development process. It would take a decade or a century to apply and make feel by the people – the change through development. There can also be small to medium projects which will take 5 years or less to complete depending upon the nature of it. This development studies basically is a whole life process in which a person can devote into it in the development of the village , town , city and the nation as a whole. The feasibility of development studies in Nepal is good because of Nepal itself as a developing country. Making short term and long term goals, Nepal should be undergoing change in its development as it is sandwich between world’s economic giants China and India. The policy maker should be aware of these scenarios that has been impacting the Nepalese lifestyle of the people in and out of their home. Development makers don’t decide for the people but the people themselves would have choices in the environment what they get in the country. We could get different patterns of thinking and preferences through which we could get the aspect of development what the people feel could be their own choices and experiences. This will undergo transformation into lives of many development seekers. We don’t know how will this change manifest into our Nepalese lives, but we should be in the process of development studies, and is indeed a need of the people of Nepal. If everyone will be contributing in the development of Nepal, it will obviously grow, and those who contribute will be the development workers! We basically can contribute in many ways, whether you have an idea, you can give to the concerned. Whether you have a business, you can make it grow and give service to the people. If you have a skill, you can pass that skill to the new comers and build groups, communities and a society. If you can write you can write, inform and educate to the readers to make a contribution. Drops by drops make a million in an ocean, which we all know. whoah this blog is excellent i love studying your articles. Keep up the great work! You realize, a lot of people are searching around for this info, you can aid them greatly. Wow, fantastic weblog format! How lengthy have you ever been blogging for? you make running a blog look easy. The entire look of your web site is excellent, let alone the content! You produced some decent points there. I looked on the internet for that concern and located most individuals goes along with along along with your internet site. This needs to be one of my favorite posts! And on top rated of thats its also extremely helpful topic for newbies. thank lots for the information! you’re in point of fact a good webmaster. The web site loading velocity is incredible. It kind of feels that you are doing any distinctive trick. Moreover, The contents are masterpiece. you’ve performed a wonderful process in this subject! Is not it amazing any time you come across an excellent publish? certainly, investigation is paying off. So content to possess identified this post.. My personal web surfing seem total.. thanks. I want to thank you for the excellent post!! I definitely liked every bit of it. Iâ€™ve bookmarked your web site so I can take a appear at the latest articles you post later on.